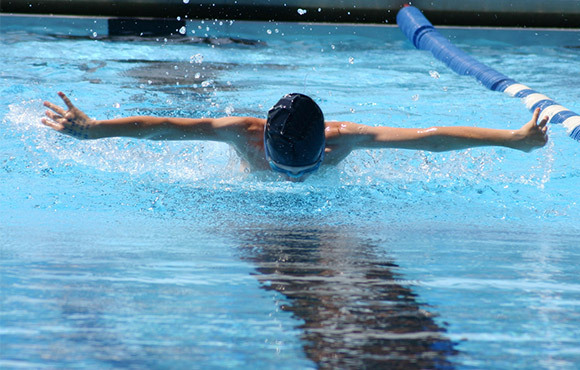 Swimming is an aerobic sport, like cycling or running, which strengthens the heart and lungs. 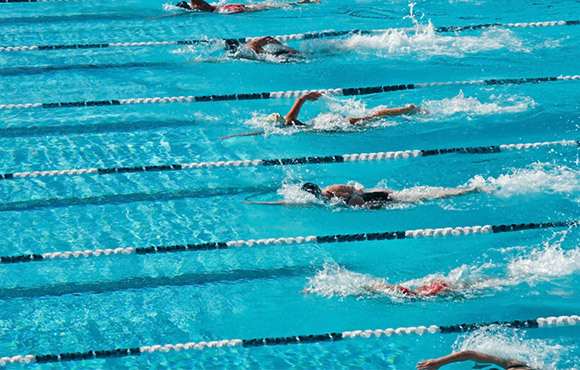 On average, swimmers stay in the water exercising longer than other sports, improving endurance. There is also evidence that swimmers have increased lung capacity, even compared to other elite athletes. 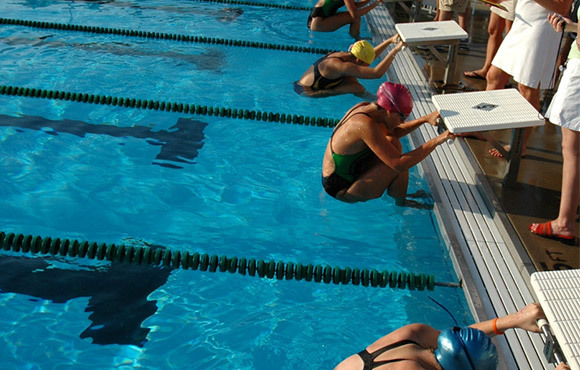 Swimmers pull against the water to move, so every stroke is a strengthening exercise. Different strokes, turns and starts work different muscle groups and also require core stability. Long strokes combined with power moves, like pushing off a wall or a starting block, provide a full body workout. Swimming has also been shown to improve flexibility and balance on land. Swimming can help kids feel calm, confident and less stressed. A study from the University of Florida found that exercise and socializing leads to better mental health, which is a key element to swim team as children have plenty of downtime during meets. Many people also find the natural buoyancy of water to be relaxing, and the regular breathing patterns of swimming mimic meditation. 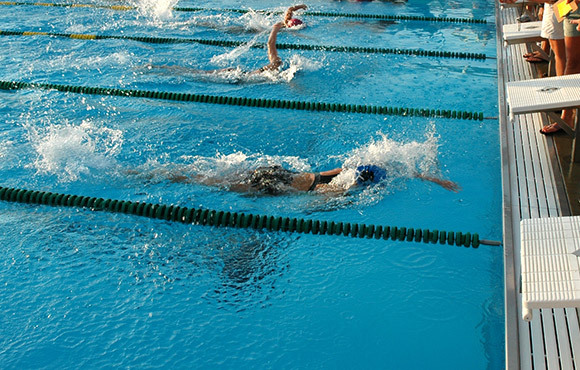 In swimming, the focus is on continued improvement. Individually, your child will be aiming for a personal best in his or her events, which can be as satisfying as winning a heat or a final. If your kid loves team sports, relays act as team builders: swimmers work harder because they want the relay to do well and support each other in a race. Meets are scored, with points given for each event, but with points distributed over all the events and age groups, the pressure to win is different from a sport like basketball or soccer. For a kid who loves to swim but misses shooting or scoring goals, water polo offers an experienced swimmer a mix of the two. As a former child swimmer, I can personally attest to how much swimming improves math skills. Swimmers can convert meters into yards, yards into miles, miles into pool lengths, pool lengths into time and back again, all in their heads. They practice and compete in a world of splits and stroke counts, of tenths and hundredths of seconds, all in elementary school. Researchers have also found that young children who learn to swim reach developmental milestones sooner than kids who do not swim, even after controlling for other factors. 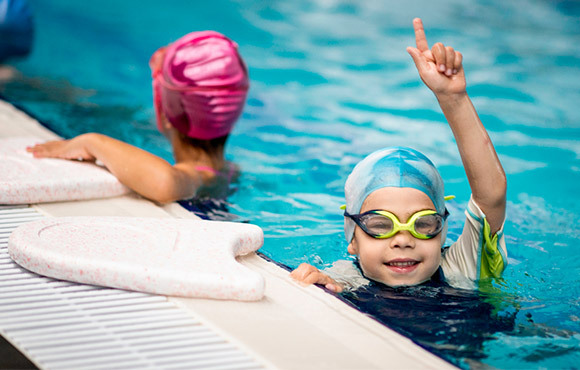 If your child decides to join swim team, odds are that he will get disqualified during at least one race. Stroke and Turn Judges are trained to watch the events and make sure that all the competitors are performing strokes properly. If the stroke isn't done "legally," the swimmer is DQ'ed and his time doesn't count. While that can be hard in the moment, it teaches kids to keep trying, and that a mistake in one race does not equal failure. They also see teammates go through the same experience, encouraging empathy. If your child has asthma , swim team may be a great choice. 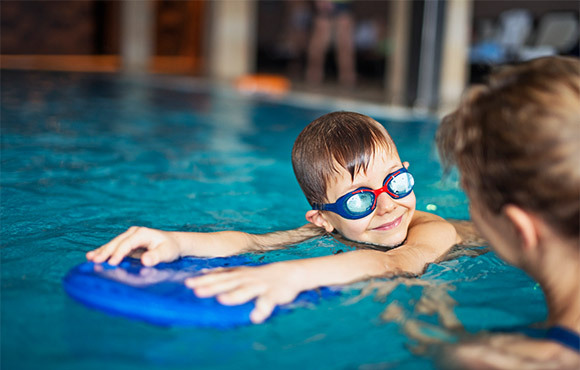 Air in an indoor pool is warm and humidified, which can be more comfortable for someone with asthma. As an adult, your child could use their swimming skill to swim laps recreationally, join US Masters Swimming, or compete in open water events or triathlons. Because swimming is a low-impact sport, people can participate for life, even after they are forced to abandon sports with higher injury rates. 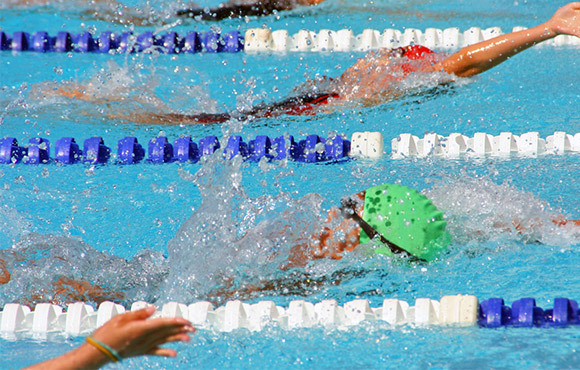 The reasons to consider competitive swimming are varied and numerous. 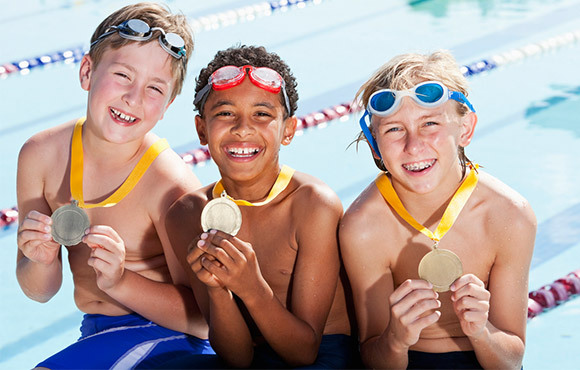 A summer swim team can be a great way to dip a toe in the pool and see if swimming is right for your child before deciding to compete year-round.